In Native American cultures, spiderweb protective charms were thought to filter out bad dreams and allow only good thoughts. 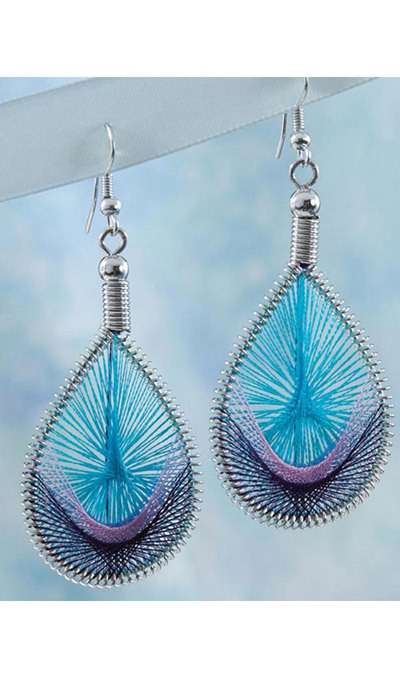 Our unique variation is bright blue and purple string wrapped around a silver-tone frame. Imported. French wires, 2¾"l.